St. Thomas's premier water sports center located on the island's windy East End at the luxurious Ritz-Carlton. 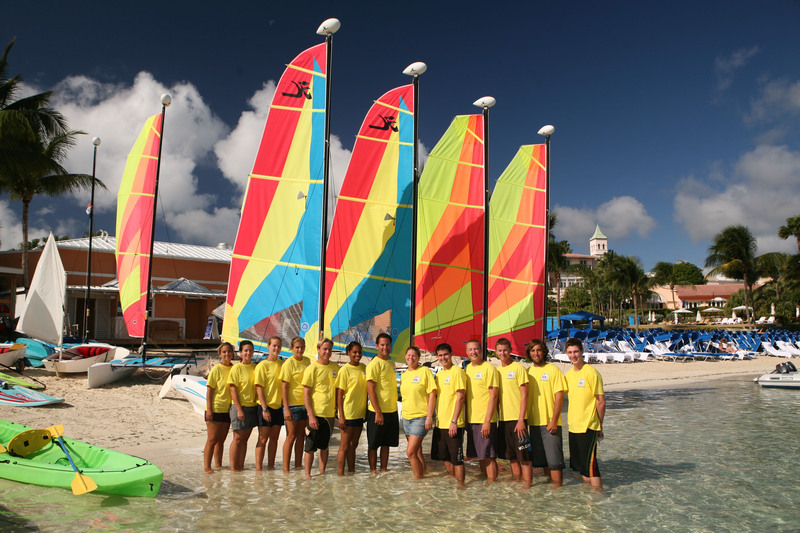 Our Sailing Programs feature popular one-design fleets including Optimist Prams, Hobie Waves, and the IC-24s, as well as professional instructors certified by U.S. Sailing to teach sailors of all levels and all ages. The Windsurfing Pinel is headed up by Paul Stoeken, Island Sol's founder and competitor in the sport at both the Atlanta and Sydney Olympic Games. Our Kiteboarding Program gets you riding quickly with safety boat support and P.A.S.A. certified instructors. Island Sol also runs public and private group events centering around the caribbean beach and water sports lifestyle. Check us out and contact Mr Daniel Boisserie to get out on the water today!